Our topical Policy Briefs bring together the ecological evidence on key policy topics in a clear, digestible form. 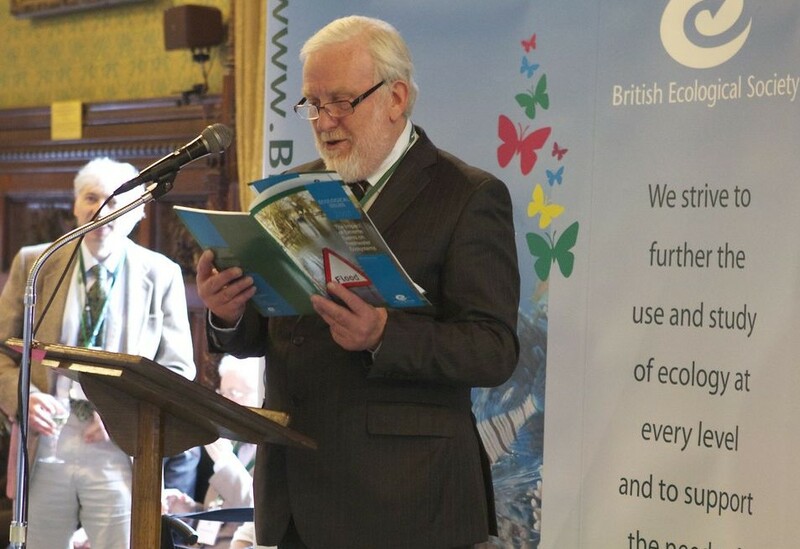 Andrew Miller MP introduces "The impact of extreme events on freshwater ecosystems"
For more information on a topic, to speak to relevant experts or to suggest a future topic, contact Camilla Morrison-Bell, Policy Manager. The 25 Year Environment Plan set out by the Government on 11th January 2018 has been met with a mixed response by the environmental community. Its scope and ambition have been praised, both in terms of breath of issues the Plan covers and the ability for long term planning provided by the 25 year timeframe. This has set the Plan apart from previous environmental policies however, concerns have been raised that, in many instances, it does not go far enough and lacks legislative clout. We have tried to highlight the best, worst, and least certain aspects of the Plan in this summary piece. We have concentrated on those issues our members might find most interesting, and on new initiatives, not those in which it is merely proposing to ‘continue support for’ or similar. Our Manifesto Briefing provides a breakdown of the main policy pledges, for the 2017 General Election, from the seven main political parties across six policy areas of interest to us and our members. Why does ecology matter? Ecology matters gives a short introduction to the science of ecology, the impact of ecological research, and what we can offer policymakers. This policy brief summarises the Ecological Issues report, and considers the ecological impacts of extreme weather events, especially flooding, and the potential for natural flood management approaches to deliver benefits for both people and biodiversity. This comprehensive Ecological Issues report considers the ecological impacts of extreme weather events, especially flooding, and the potential for natural flood management approaches to deliver benefits for both people and biodiversity. This policy brief considers the ecological impacts of extreme weather events, especially flooding, and the potential for natural flood management approaches to deliver benefits for both people and biodiversity. This version of the brief includes Scottish case studies.